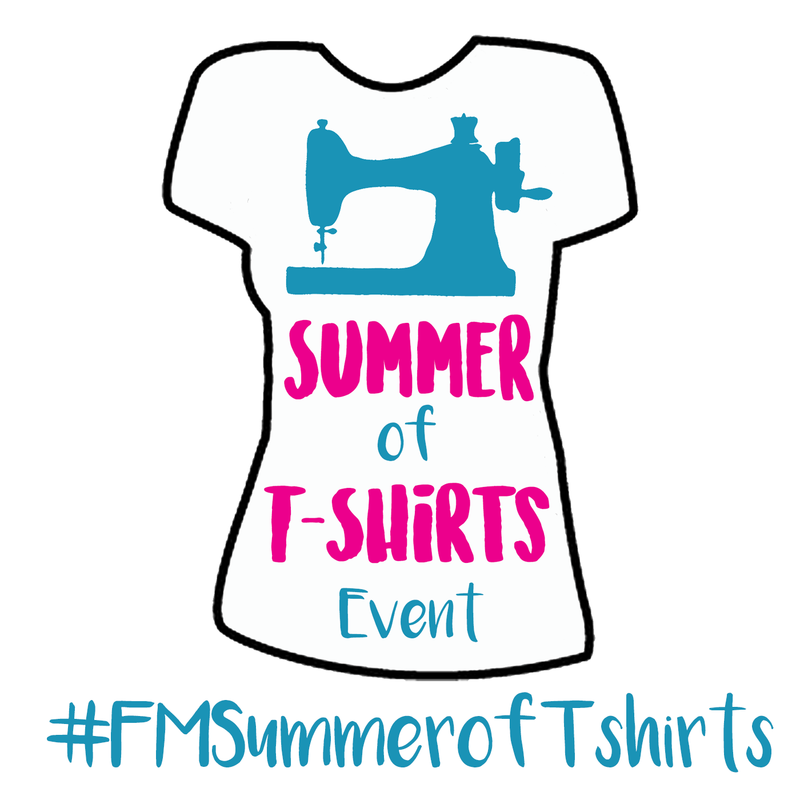 This is the first post in the Summer of T-shirts Event! In this post, I will share with you some of the best t-shirt patterns out there. This list by no means are the only ones available, but ones that I have either tried or know from other sewers that they are good sewing patterns. 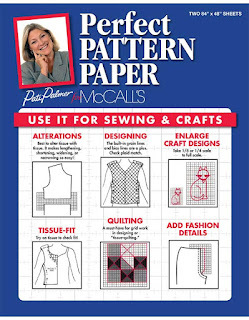 I'll also share with you some extra supplies you will need for the pattern hacking process. 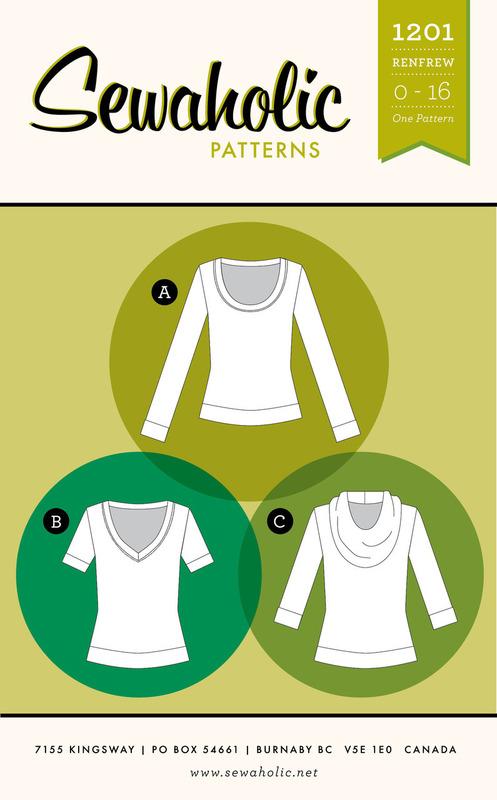 When doing a pattern hack, it is so important to start with a pattern that fits you. So the first step (after you pick out the pattern of course), is to make sure the pattern fits you. 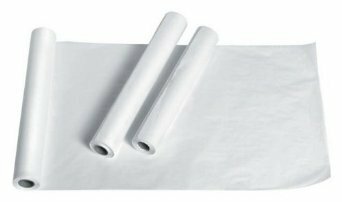 Use the fit method you're most comfortable with (I use the Palmer/Pletsch Tissue Fitting Method.) Then sew up the shirt without any pattern hacks. This will help you determine whether the shirt fits you and also gives you an idea of how it should be constructed. It's not easy pattern hacking something if you've never actually sewed the pattern before (especially for beginners). So don't skip this step in our event! 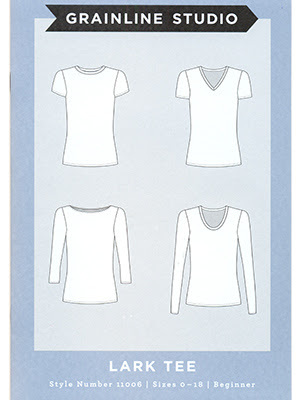 This is probably my most favorite knit t-shirt pattern There is really no need to tissue fit (if you choose that fit method) because the way you construct this pattern helps you fit it as you sew. Pamela gives you a lot of advice for every step of the process. I have pattern hacked this pattern (with and without the guidance of Pamela) and it's easy to alter and still looks great. 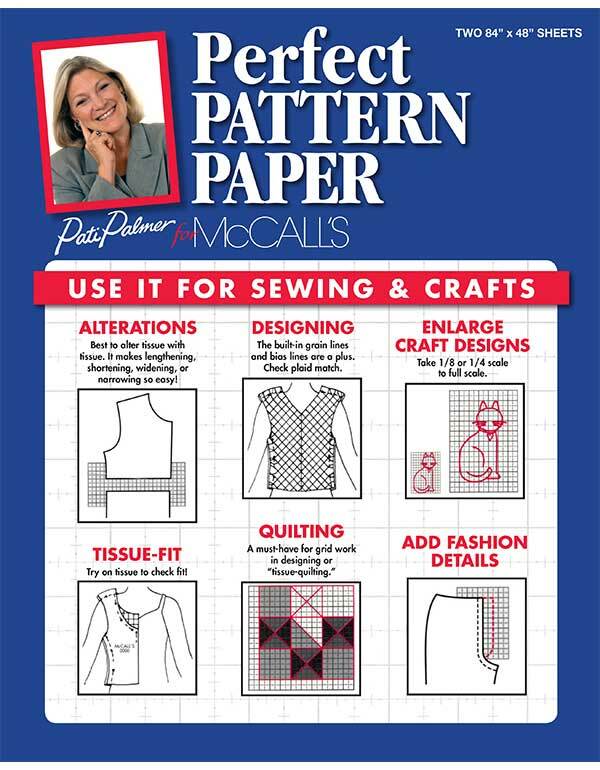 Pamela has done some of the pattern hacking for us in a few of her other patterns. The Classic T-Shirt Dress is a long version of the t-shirt pattern. It also includes sleeve, neckline and silhouette options as well as a color-blocking option. The Pretty Peplum Top is the t-shirt pattern with a peplum. New Necklines and Sleeves is a pattern that can be used with any of the patterns I listed above. Talk about easy peasy! This is my favorite woven t-shirt pattern. It has a loose, somewhat boxy fit but is fitted at the shoulders so that it doesn't look like a tent. This pattern has been blogged about a lot and is a favorite in the sewing community. It's important to note that it is meant for wovens, but I'm sure stable knit fabrics would be ok too. Two years ago, in the Fabricista Fashion Challenge, I challenged the contestants to pattern hack this pattern. Check out their creations HERE. 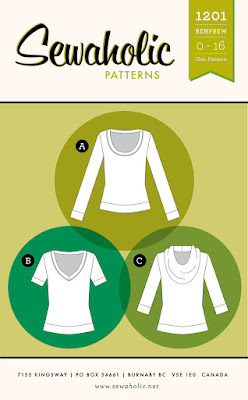 This is another great knit t-shirt pattern. I think what I like about this pattern is that it gives me practice using the Palmer/Pletsch tissue fitting method. The great thing about Palmer/Pletsch patterns are that they have all the alteration lines printed right on the tissue. There's no guesswork for where to draw the lines and it comes with instructions that will help you understand the tissue fitting method. It also comes with a few neckline and sleeve options. I have not sewn this, but it is a favorite in the plus size sewing community. 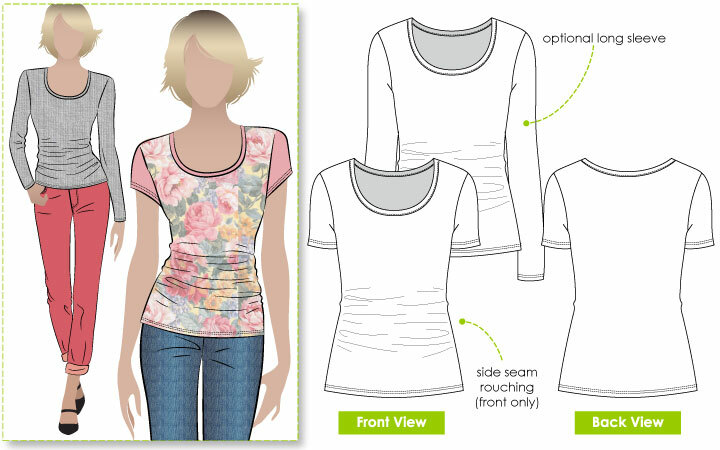 This pattern comes in size 12-28 and with sleeve, hem and neckline variations. Grainline Studio has made it on the list a second time for the knit t-shirt pattern, the Lark Tee. Comes with sleeve and neckline variations. I have not made this pattern before, but it gets good reviews from other sewers. Let us know what you think! Sewaholic Patterns are a favorite of many sewers and of course they have a basic shirt pattern. This comes with sleeve and neckline variations including a cowl neck! I have not made this pattern before, but there are loads of reviews out there. StyleArc has some of the most interesting and innovative patterns out there right now. It's easy to overlook a basic in their vast selection of patterns. I have not tried this pattern before, but one of our sewers will be sharing their pattern hack of this in a few weeks! 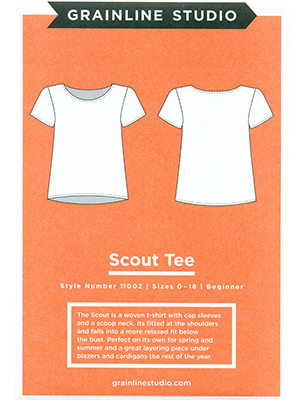 After you have a basic shirt pattern picked out, you'll want to make sure you have all the necessary supplies for "hacking" your pattern. 2) Marking Pens, Pencils and Chalk - Have an array of different marking tools for both paper and fabric. 3) Measuring tools - I recommend having small, hand held measuring tools and longer measuring tools for longer lines. The hand held tools are perfect for small measurements . 4) Cutting tools and surface - Rotary cutters, scissors (paper and fabric). Don't forget to use the appropriate cutting surface such as a self healing mat if using a rotary cutter. 7) Ideas and imagination! 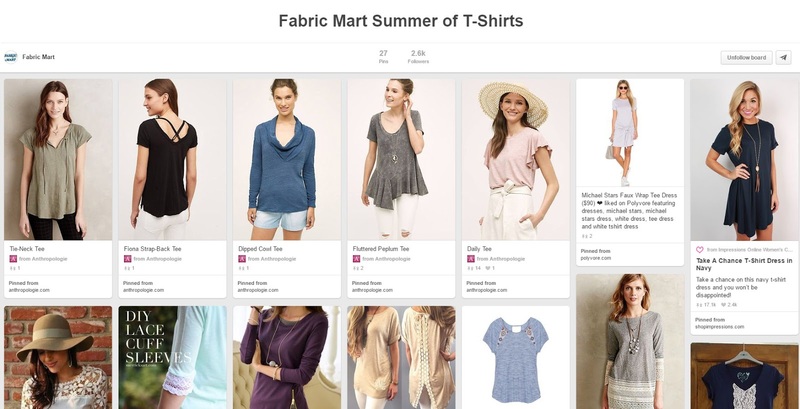 We have created a board on our Pinterest page which features t-shirt hack ideas. Check it out HERE. I hope this has inspired you to join us in the fun! 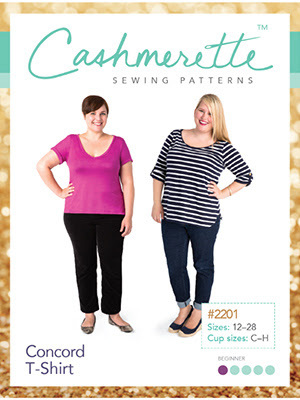 Next week, Jenny will share a pattern hack on the Concord T-shirt by Cashmerette Patterns. Mark your calendars! Write your comments, I'd love to hear what you think of this. 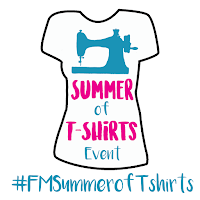 Do you have a favorite t-shirt pattern that was not mentioned? Share it with us! Deer and Doe Plantain and Maria Denmark Kirsten Kimono (both free) are my faves. I've also used Renfrew but I need to do a lot of altering on that one.